Indian food, just like our country, is very diverse. 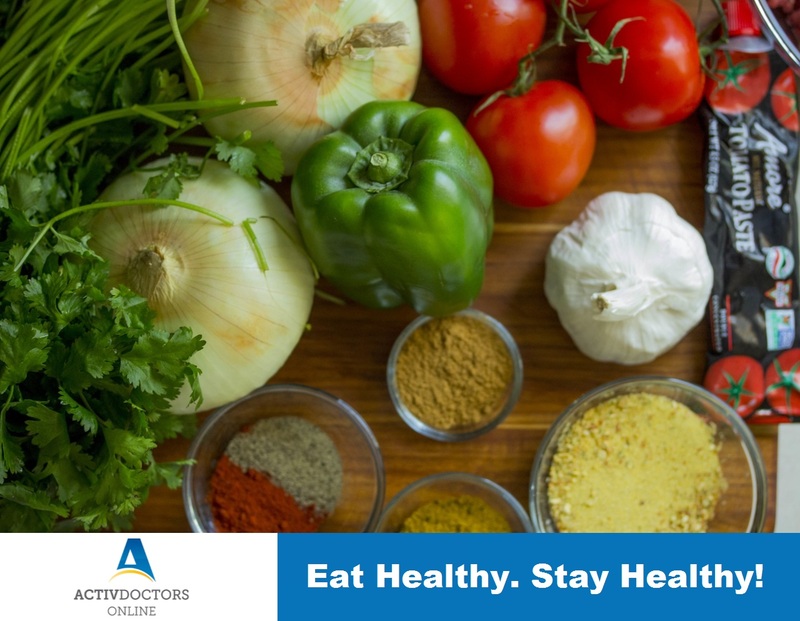 We have an adequate mix of healthy foods including grains, pulses and vegetables high in fiber and protein rich legumes but also, unhealthy foods such as deep fried pakoras, samosas, etc. which are extremely high in calories, along with creamy or fried masalas and kormas. It is often said, that one must eat healthy, to stay healthy and correct choices help guide our health in a lot of ways. To reduce fats in the diet, it is advised to eat foods with tomato based gravies, tandoori or dry roasted foods, steamed foods or vegetables and lentils cooked in less oil. Chapattis are a better choice to Parathas. Ghee and Malai are forms of clarified butter and cream used in gravy for a variety of Indian foods, high in calories and saturated fat. Gravies or Curries made from onions, tomatoes, salt, and spices cooked in a large amount of butter and ghee like Butter Chicken and Dum Aloo are to be avoided. Vegetables are low in calories and fat and high in fiber and nutrients. Opt for dishes made with fresh vegetables that will help you feel fuller for longer. When choosing meat-based dishes, opt for grilled or kebab meats. Meats that are cooked Tandoori style are typically lean and marinated with yogurt and fresh spices. Dry roasted preparations with spices are also healthy. Dishes made with lentils such as Dal Makhani, Dal Bukhara, etc. are low in fatty oils and butter. Dishes made of legumes are high in fiber and protein, which will help you feel fuller. South Indian Sambhar is a complete meal having dal (lentils), vegetables and spices and is considered healthy. For breakfast, it is recommended to choose healthy options like idli – sambhar, daliya (broken wheat), poha (beaten rice), upma, fresh fruits etc. that are low on calories and rich in nutrition and fibre. Lunch and dinner can be a portion of vegetables, fresh salads, lentils/lean meat, chapatti/boiled rice, curd/raita. For snacks choose fresh fruit, or a handful of nuts. Making healthy food choices avoids weight gain and keeps you fit, strong and healthy.